When it comes to Italian, pizza and pasta is all that rings to my simple mind. I had mentioned earlier to M that I always neglect risotto, which is a pity, because I love risotto. However, there's just something safe about the old pizza and pasta combo. 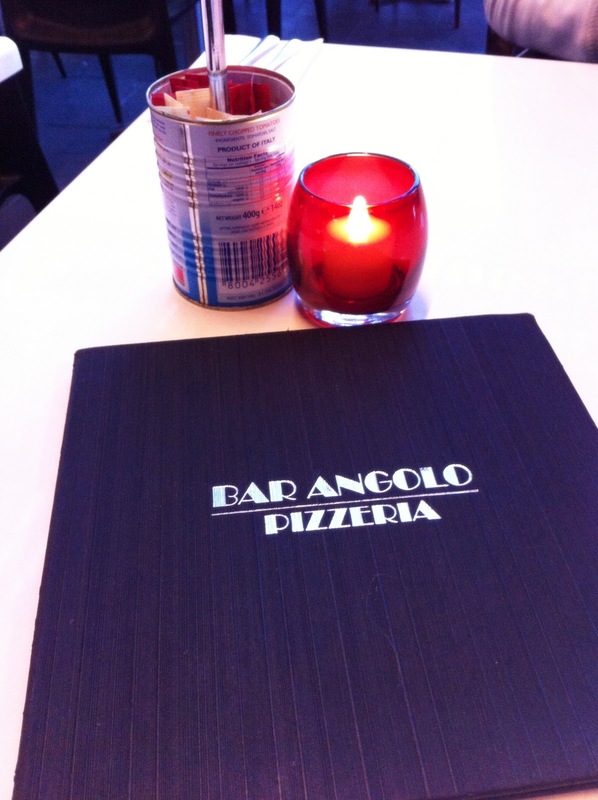 Bar Angolo Pizzeria is a cosy pizzeria admist a hub of other restaurants, on the corner of La Strada and the new La Piazza area of Top Ryde City Shopping Centre. 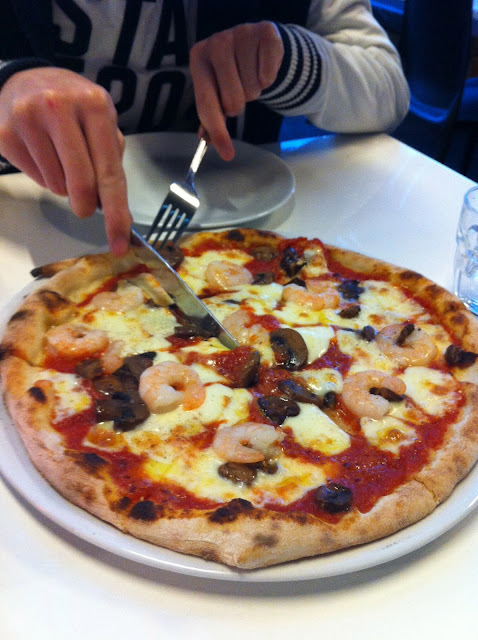 The pizza kicked off our evening in super speed, as our choice of Mare & Monti - Tomato, Mozarella, Prawns & Mixed Mushrooms ($20) popped out in record time. Personally, I thought the tomato base sauce was a little strong however, M loved the pizza. It was indeed super creamy and full of flavour. The pizza base was nice and thin, just the way I like it, and the edges were cute and puffy! 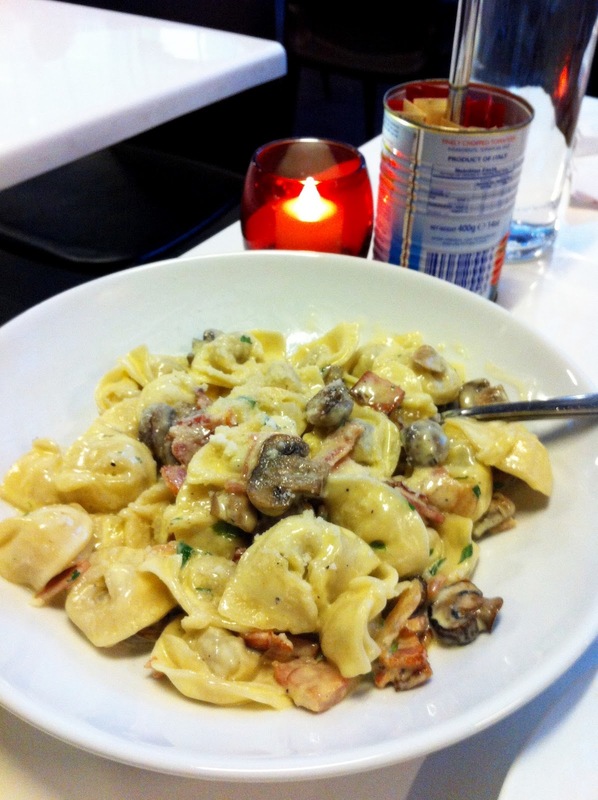 The Tortellini Boscaiola - with Cream, Bacon & Mushrooms ($20) did not surpass our high standards of this creamy classic. It was a little too dry (more sauce is always good!) and I felt that there was too much meat stuffing inside the tortellini. Nevertheless, I loved all the mushroom and bacon! 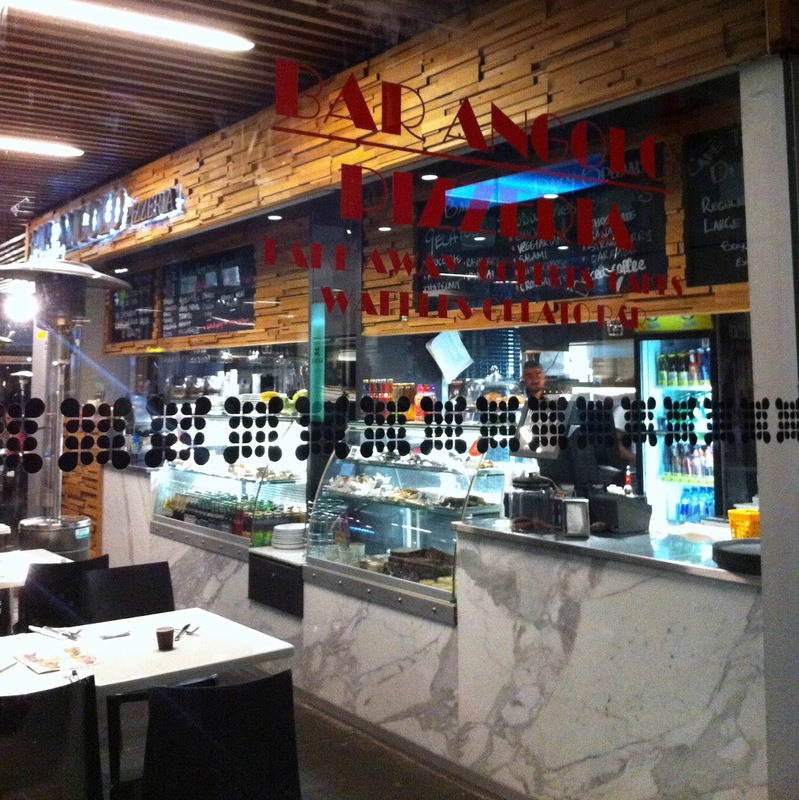 The service here is very friendly and casual, which makes it awesome when you're looking for a laidback place to enjoy some pizza and pasta. Too bad we were too full to order dessert! That is almost, always, a disappointment.